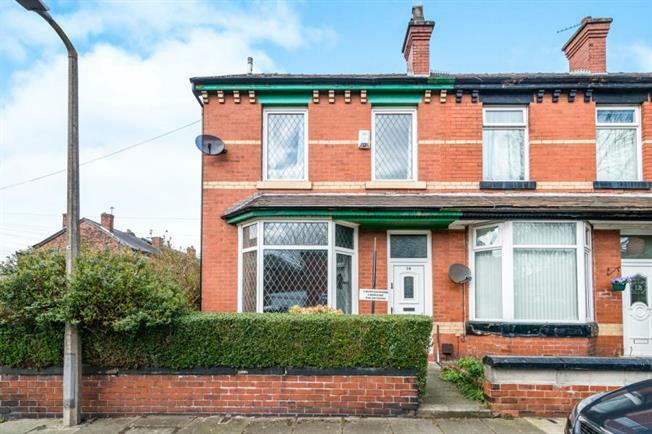 3 Bedroom End of Terrace House For Sale in Manchester for £145,000. Beautiful traditional end terrace property conveniently placed for both St Andrews and Wesley Methodist Primary Schools and excellent local transport links. The property comprises of entrance porch, hall, lounge, dining room, modern fitted kitchen. To the first floor there are 2 double bedrooms and a third single bedroom, along with a modern 4 piece bathroom suite and a further loft room. Externally this fantastic property boasts a front garden and rear patio and also benefits from gas central heating and double glazing throughout. Immaculately presented throughout this property would make the perfect family home.